Analyzing your own writing with a critical eye can be hard to do. I know, I try to do it every day and I still miss things that a fresh set of eyes quickly picks up. Like me, students often struggle to critically analyze their own writing. Peer editing is one solution to that problem. 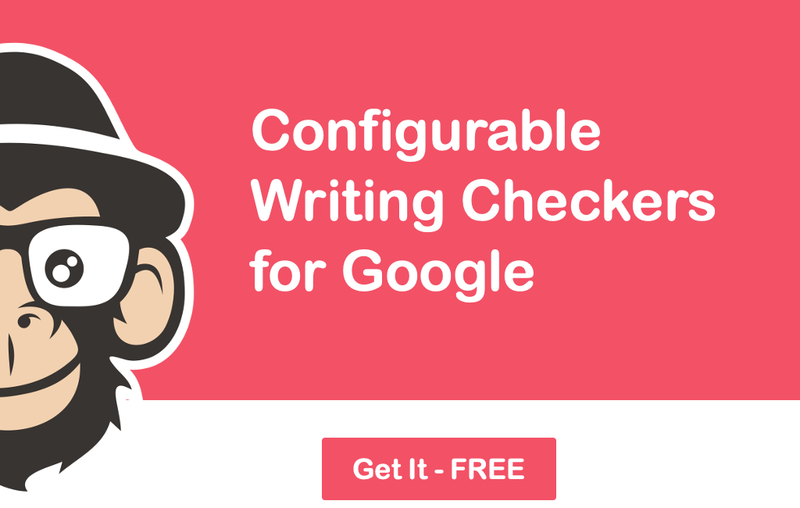 Another solution is to use an online writing checker the one that JoeZoo offers as a Google Docs Add-on. JoeZoo's Monkey Checker is a customizable tool that students can use to evaluate their own written work and teachers, of all subjects, to save a lot of time assessing student work. JoeZoo's Monkey Checker is a part of the JoeZoo Google Docs Add-on that you can get right here. Once it is installed you can begin customizing how it works for you and your students. You can pick the spelling, grammar, and punctuation rules that you want the Monkey Checker to identify. Many services will identify all errors, but if you want students to be responsible for self-identifying small errors and let Monkey Checker identify the bigger errors, you can have it do that. Or you can use the customizations to set different rules for different classes. For example, I might have Monkey Checker flag all errors for my ninth grade students and only have it flag bigger errors for my eleventh grade students. Many grammar, spelling, and punctuation checkers will automatically fix errors for students. Monkey Checker only suggests corrections. I like that because it forces students to look at their mistakes and make corresponding corrections. Errors are color coded within Google Docs. Errors of the same type are color coded and grouped for easy identification by students and teachers. This makes it easy to quickly identify the type of mistake that a particular student makes most often. The Monkey Checker tracks students' self-editing progress and reports that information to teachers in a word cloud format. Want to see these features in action? Watch this short video to see how you and your students can benefit from using JoeZoo's Monkey Checker for Google Docs. 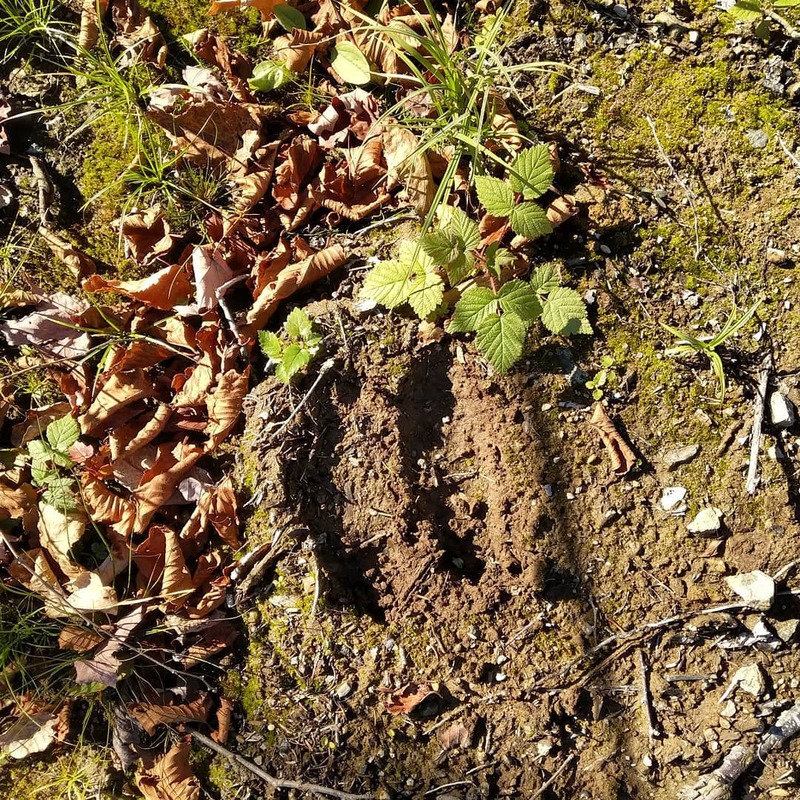 Disclosure: JoeZoo is an advertiser on this blog. That said, I was writing about JoeZoo and including it in workshops long before they started advertising. Good morning from Maine where we're ready for some Halloween fun. Last year we had more than 600 trick o' treaters come to our house! And if the weather is nice we'll have that many again this year. But Halloween isn't the only thing happening today. It's the end of the month and as I do every month I have put together a list of the most-read posts of the last month. Take a look and see if your favorite made the list. October was a busy month here are the Byrne Instructional Media world headquarters. I started the month by working with teachers of Sigsbee Charter School in Key West then I was off to West Virginia for a conference followed by a conference in Connecticut. In there I taught two professional development courses too. If you're interested in having me come to your school or conference, please get in touch. 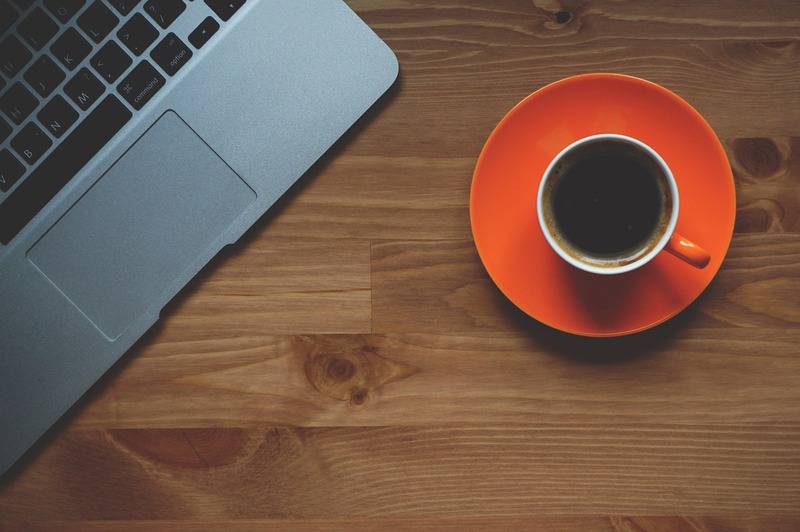 In November I'm hosting three online professional development opportunities. Those are Video Projects for Every Classroom, Google Forms & Sheets for Beginners, and Teaching History With Technology. Click here to learn more about all three opportunities. 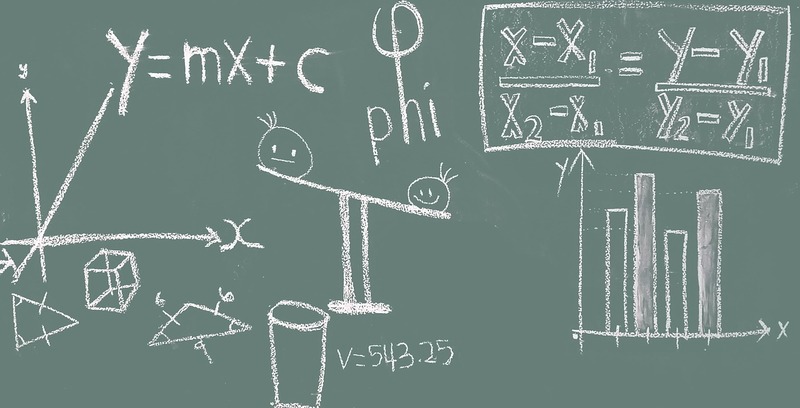 Here's a question that I get a lot when I conduct on-site G Suite for Education training, "is there an easy way to add math symbols to documents?" In fact, there is an easy way to add mathematics symbols, equations, and other special characters to Google Documents. To do that simply open the Insert drop-down menu and select "equation" to create an equation or select "special characters" to insert symbols, accents, and emojis. Watch my video for a quick demonstration of how to insert equations and special characters into Google Docs. Find more Google Docs tips and tutorials in this playlist on my YouTube channel. Last week I shared an ebook of writing prompts from Make Beliefs Comix. That ebook is just one of many free writing prompt resources offered by Make Beliefs Comix. This morning I explored the site and found more than 700 writing prompt pages. All of the pages are designed to be printed and given to students to write on. The printables section on Make Beliefs Comix is organized into dozens of categories. Some of those categories include A Book of Questions, Heroes, History, and Poetry. All the the printable writing prompt pages include artwork designed to spark a student's imagination. Some of the artwork is in color and some is in black and white. A bonus of the black and white artwork is that you're essentially getting a coloring page and a writing prompt in one package. This week I answered an email from a reader who was looking for a way to add background images in the new (current) version of Google Calendar. Unfortunately, the current version of Google Calendar doesn't have a native capability for adding background images. However, you can change the color of the events that are displayed on your Google Calendar. In the following one minute video I demonstrate how to change the color of events on Google Calendar. Find more G Suite tips and tutorials in this playlist on my YouTube channel. On Sunday on Practical Ed Tech I posted a reminder about the three online PD opportunities that I'm hosting in November. One of those is a three night course called Video Projects for Every Classroom. This course is designed for teachers who would like to learn how to create meaningful classroom video projects. The course will teach you how to make animated videos, instructional videos, and mini-documentary videos. You'll also learn how to address copyright and privacy concerns. Learn more by clicking here or by watching the video below. The course begins on November 5th at 7pm Eastern Time. The live webinars will be recorded for those who cannot attend the live sessions. You can receive a PD certificate for completing the course. You will receive digital handouts to go along with access to the webinars. Less than an hour after I posted this chart of alternatives to Google Image search I had two emails and one Facebook message with questions about fair use. One asked about music, the others asked about exceptions to copyright. But really all three messages were essentially asking the same theme of "what about fair use?" For years I've said to students and teachers that when it comes to pictures fair use should be the last resort. There are two reasons why I say that. First, there are plenty of good places to find images that aren't copyrighted. Second, the guidelines around fair use can be confusing to say the least. If you find yourself or your students confused by fair use, take a look at the following videos from Common Craft and Crash Course. Both provide clear explanations of what fair use is and isn't. Once a year I host guest bloggers for a week. This year I'm doing that during the week of November 11th. In past years I have had some awesome guest bloggers who went to to boost their own blogs by having their work appear on Free Technology for Teachers. If you would like to be a guest blogger this November please read on and then complete the form below. I'm looking for guest bloggers who can share stories of current experiences using technology in their schools. Guest bloggers should be current classroom teachers, teacher-librarians, technology integration coaches, or school-level administrators. I would like to share stories of trying new things (apps, websites, strategies) and what you and your students learned from the experience. If you can tell the story in 500 words or less or with a video, that's a bonus. While I cannot pay you for your post, I will include links to your blog or website and include a short bio about you. Past guest bloggers have reported still getting traffic to their blogs more than a year after their posts appeared. Please note that the last time I put out a call for guest bloggers, more than 100 people responded in 48 hours. I wish that I could publish all of the posts, but I simply cannot do that. I'll select 20 to 25 posts at the most. I will send notifications to accepted guest bloggers by November 4th. I've seen and you've seen it too many times; a student or colleague needs a picture for a project so goes to Google Images and right-clicks to save the first picture she likes without any consideration of copyright. Even though Google Images does have a usage rights filter there are still better places to find images that are either in the public domain or have a Creative Commons license. In the chart that is embedded below I feature thirteen alternatives to using Google Image search. All of sites in the chart offer images that are either in the public domain or have a Creative Commons license. If you cannot see the embedded chart, click here to view it as a Google Document. 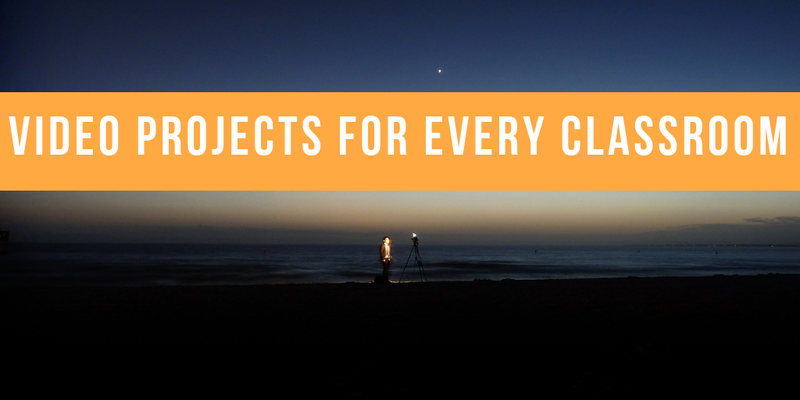 Join my upcoming course, Video Projects for Every Classroom to learn more about using public domain and Creative Commons images in video projects. Halloween is just two days away. If you're looking for some Halloween-themed lessons, take a look at the following resources that I featured earlier this month. Halloween safety is a hoot with Kahoot! Playing Kahoot games is a fun way to review almost anything including Halloween safety. That's why I made the following video to demonstrate how you find and modify Halloween safety games in Kahoot. ReadWorks published a collection of forty-two articles and lesson plans that have a Halloween theme. When I looked through the collection it appeared that all of the articles were for a K-8 audience with a few 9-12 articles mixed in. The articles covered topics like the history of Halloween, pumpkin farms, and the history of ghost stories. SciShow Kids has a playlist of videos covering topics that are frequently connected to symbols of Halloween. Those topics are bats, spiders, skeletons, and the changing colors of leaves. In the video about bats students learn how bats use sound to find their way at night, how and why bats hang upside down, and how they rear their offspring. In the video on spiders students learn about the role of spiders in controlling flying insect populations and how spiders create webs. In the video about the human skeleton students can learn about the functions of the skeleton as well as how bones grow and heal over time. 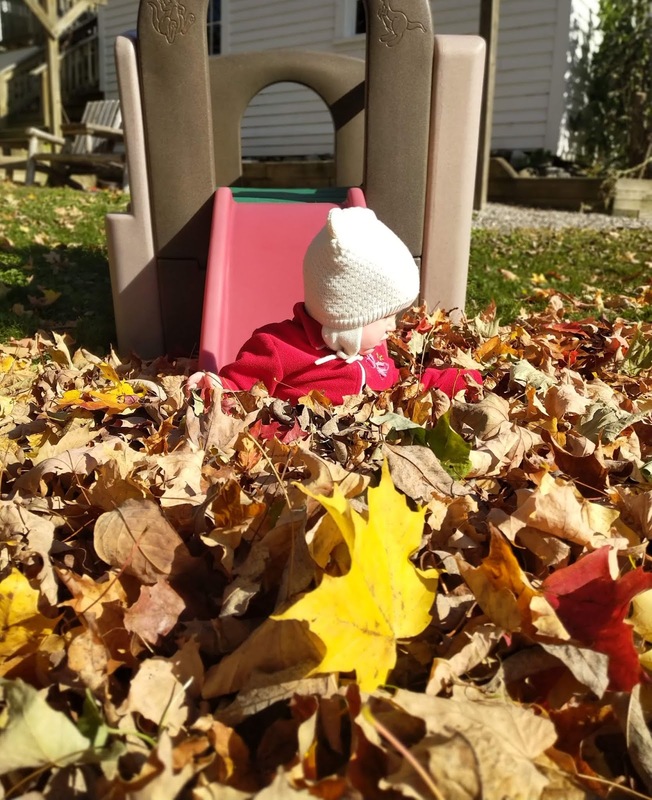 Finally, in the video on leaves students learn about the correlation between chlorophyll, sunlight, and leaf color. Number Chase - Math vs. Zombies is a free iPad game with a Halloween theme. The game is has three virtual worlds each containing ten levels of basic math problems. The object of the game is to correctly solve as many math problems as possible before the zombies catch you. The math of the game is basic addition, subtraction, multiplication, and division. If you're looking for a writing activity that has a Halloween theme, consider having students create Halloween cards. Storyboard That offers great tools for creating Halloween comics that your students can then quickly turn into printable Halloween cards. 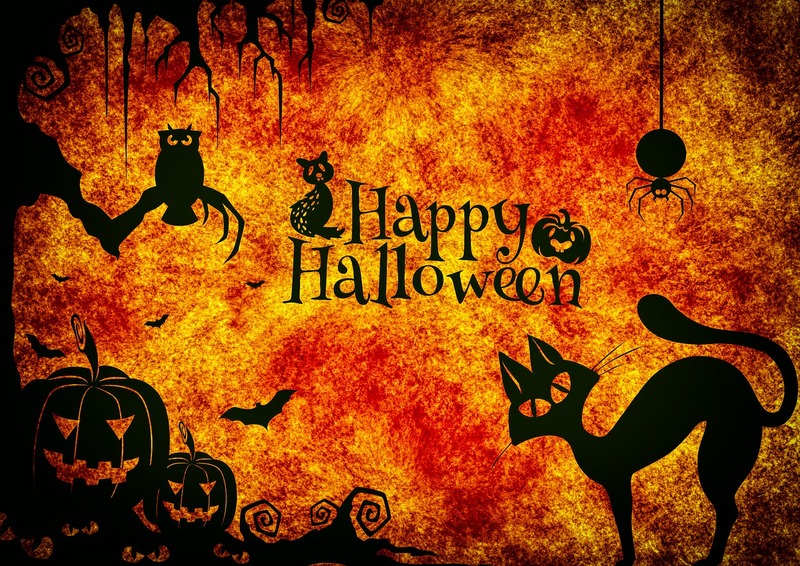 Watch my video below to learn how to use Storyboard That to create Halloween cards. A few weeks ago I published a chart of G Suite for Education shortcuts that included directions on how to quickly access the various tools within Google Drive. It appears that I need to add onto that chart because a couple of days ago Google introduced a new batch of shortcuts for making new Google Docs, Slides, Sheets, Forms, and Sites. In a Tweet on Thursday Google revealed that you can now simply type "doc.new" in your web browser to launch a new blank Google Document. That same structure can be used to create new Slides, Sheets, Forms, and Sites. Take a look at the Tweet embedded below for a visual. Good morning from Maine where it should be a nice morning for playing in leaf piles before the snow flies this evening. But before we go outside to play the sun needs to rise and I need to finish writing this week's week-in-review. I started this week by speaking at the CECA/CASL annual conference in Connecticut. It was great to meet so many of you and to reconnect with those who I've met before. A huge thank you to Kathy Schrock who gave me one of her Veer VR viewers when I realized that I had forgotten to pack my VR viewer. Speaking of conferences, I will be speaking at the EdTech Teacher Summit in Boston on November 7th and I will be at LACUE on November 28th and 29th. 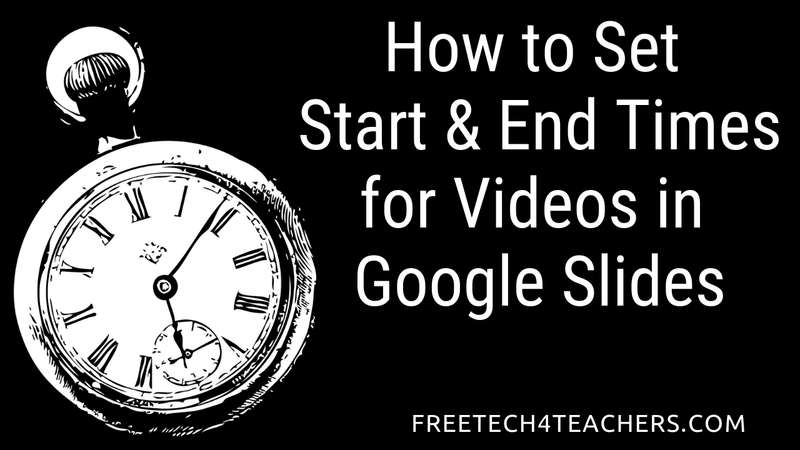 This week I hosted the fourth of five webinars in my Getting Going With G Suite and Teaching History With Technology courses. Many people have asked if I will be hosting these courses again before the end of the year. Yes, I will host them again. The registration information will be posted on PracticalEdTech.com tomorrow evening. Two weeks ago I published a video about how to use the automatic captioning feature in Google Slides. A lot of people have asked if there is a way to download the captions that are automatically generated when you speak while presenting your slides. Unfortunately, there isn't a downloadable transcript of the captions. 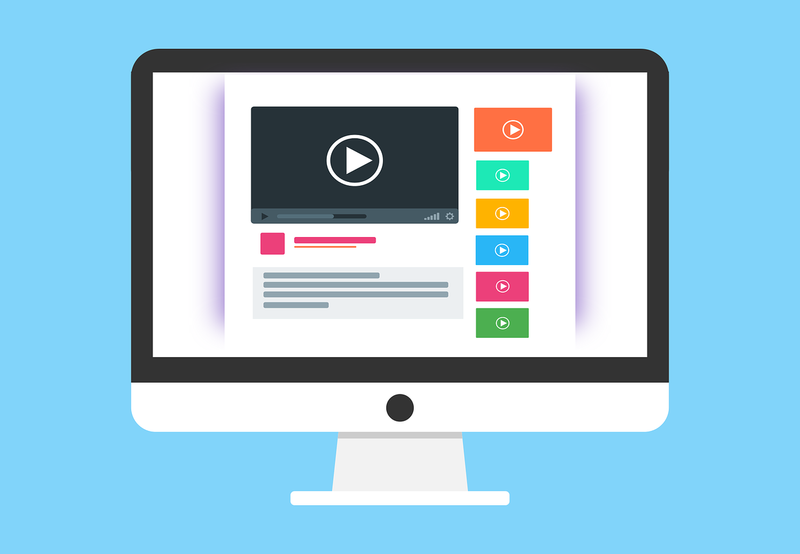 However, you could use a screencasting tool like Screencastify or Screencast-o-matic to easily make a video that includes the captions. And by doing that you would be making a video that could be used as a flipped lesson. 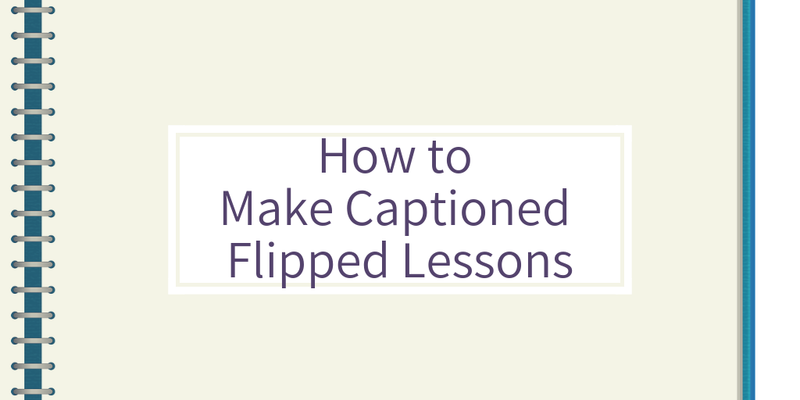 Here's the outline of how you can use Google Slides and screencasting to create a captioned flipped lesson. I recommend using EDpuzzle to add questions into the timeline of your video lesson. You can upload your video and then add questions to it. You can use EDpuzzle's question settings to prevent students from skipping questions or fast-forwarding through a video. Talk to almost any teenager and you'll quickly learn that they spend more time watching YouTube videos than they do watching traditional television programming. And many of those teenagers have a favorite YouTube "star" to watch. Some of those stars are being paid thousands of dollars to include products in their videos. That often happens in the lucrative video game and beauty categories. So how can a teenager trust that their favorite YouTube star actually likes a product and isn't just pitching it for money? That's the question that Above the Noise asked during this past summer's VidCon. The answers to that question and more are tackled in Can You Trust Influencers on YouTube? This video could spark a great classroom discussion about how products end up in videos, how advertising works, and why it is important to watch and read with a critical eye. As someone who makes part of my living through online advertising I am occasionally asked to speak to students about issues related to "influencer" marketing. What I tell students is that an online "influencer" who cares about his/her reputation will make clear declarations when talking about or writing about a product they've been paid to endorse. And for myself, my rule about accepting paid placements is that I'll only accept them from companies whose products I would feel comfortable putting into my own classroom. I also always make a clear disclosure in the header or footer of a post. Earlier this week I was browsing for new Chrome extensions to try when I stumbled upon the Chrome extension for Storybird. The extension itself doesn't do much more than just direct you to the Storybird website. 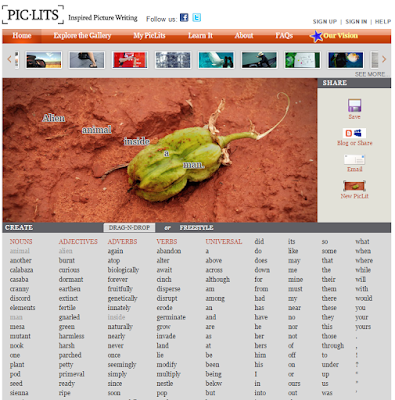 But trying the extension did remind me of the great art that you can find in Storybird. The artwork that is available in Storybird is designed to inspire creative writing. To create a story on Storybird you simply select a layout then drag and drop the artwork that you like into your story. After selecting art for your story you then write the text of your story. You can create simple one-frame stories, multiple page stories, or chapter stories on Storybird. Completed Storybird projects can be shared privately or posted publicly. Public stories are moderated before they appear online. Students and teachers can also share their stories through Google Classroom. It is possible to download your stories as PDFs, but you have to earn enough "crowns" (credits) to be able to download your stories. You can earn five crowns per day by logging into Storybird and working on a story. Storybird's artwork could inspire students to write poetry and short stories. The crowns program provides an incentive for students to revise their stories until they are as good they can be. Last week Google added new ruler and margin tools to Google Docs. The new ruler that appears on the left edge of your screen can be used to format the vertical spacing of tables that you insert into Google Documents. I've had a couple of people ask me how to get vertical ruler to appear in Google Docs. That's why I made the following video in which you can learn how to add the vertical ruler to your Google Docs and how to format your tables in Google Docs. Scrible is a service that helps students organize their online and offline research findings. That is done through the Scrible's website and Chrome extension. Scrible's Google Docs add-on helps students use their research in their papers. Scrible's Chrome extension includes tools for highlighting and creating notes any webpage that students view. Those highlights and notes are saved in students' Scrible accounts. Scrible also automatically saves the information about a page that students need to include in the bibliographies of their papers. Scrible's Google Docs Add-on provides students with access to all the resources that they have saved in their Scrible accounts. From the Add-on students can insert quotes from bookmarked resources. When students insert a quote an inline citation is also added into their documents. Scrible can also format a bibliography for students based upon the citations that they insert into their documents. Watch the following video for an overview of all of Scrible's features. Let's Talk Politics is a new Alexa app designed for reviewing and learning about U.S. government. Let's Talk Politics is an interactive game in which Alexa asks you questions about the U.S. political system and you speak your answers. The app provides explanations of the correct answers after you reply to each question. Unlike typical online games in which students pick a level to play, Let's Talk Politics adjusts the difficulty of t the game in response to how players are answering questions. Watch the following video to see a demonstration of Let's Talk Politics. Let's Talk Politics could provide some students with a convenient way to review their understanding of the structure of U.S. government and how leaders are elected. Make Beliefs Comix is a nice service on which students can create their own comics. But there is more to Make Beliefs Comix than just comic creation tools. Make Beliefs Comix offers free ebooks containing many writing prompts for students. Your Life in Comics is the latest ebook released by Make Beliefs Comix. The ebook contains one hundred writing prompts in the form of one-frame comic scenes. Your Life in Comics is a fillable PDF so that students can download it and then write in it. My one criticism of Your Life in Comics is the subtitle which is "100 Things for Guys to Write and Draw." I realize that the author is probably trying to inspire boys to write, but there isn't any reason that girls can also use the prompts contained within Your Life in Comics. Make Beliefs Comix provides students with comic characters and scenes that they can drag and drop into comic frames. 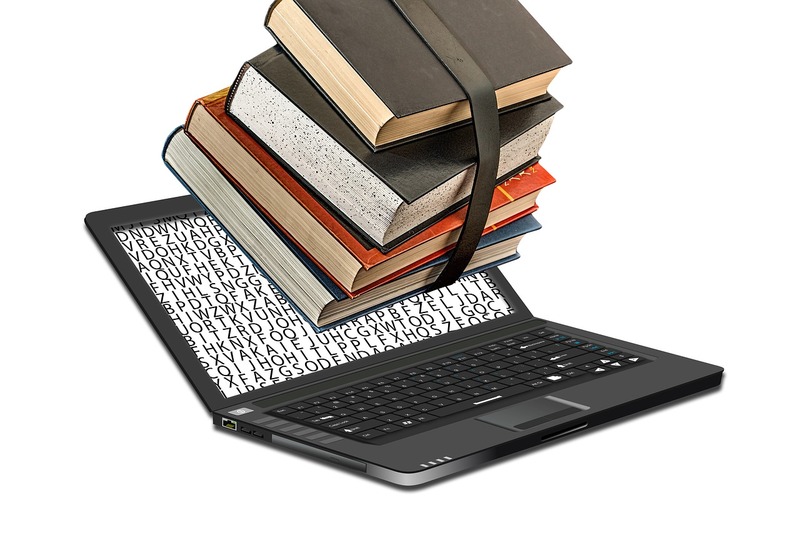 Students can publish their work online or download it as PDFs. Watch my video to for a detailed overview of how to use Make Beliefs Comix. Kids Health in the Classroom is a great place to find lesson plans, videos, and games for teaching personal health topics to students of all ages. For teachers the biggest feature of Kids Health in the Classroom is the large set of teacher's guides containing lesson plans, activities, and worksheets available as free PDF downloads. The teacher's guides are divided into five grade level categories from pre-K through high school. Above the pre-K level the guides are divided into three categories; human body, health problems, and personal health. Kids Health in the Classroom hosts games, movies, quizzes, and activities for learning about topics in health. The contents of the games and movies is divided into sections for teenagers and sections for younger students. If teaching personal health lessons is a part of your teaching responsibilities, Kids Health in the Classroom could be a great resource for you to bookmark. The Game Closet could provide some individual activities that your students can do to reinforce the ideas that you teach in your classroom. Flippity is a site that offers great Google Sheets templates that you can use to make flashcards, timelines, and games. The latest game template added to Flippity is a scavenger hunt template. Flippity calls it a scavenger hunt but it is more like a series of trivia questions that students answer to open digital locks. Try it yourself with this demo game. To create a Flippity scavenger hunt simply go to the site and select the scavenger hunt template. Make a copy of the template and open it in your Google Sheets. You can then write your questions, answers, and clues. You can use pictures and videos as question prompts. 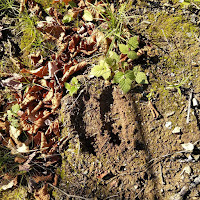 Pictures, videos, and links to websites can be used as clues in Flippity scavenger hunts. Once you have written all of your questions, answers, and clues use the File drop-down menu in Google Sheets to publish your sheet to the web. Then use that link in the Flippity template to launch your scavenger hunt game. Your game is assigned a unique URL that you can share with students so that they can play the game. 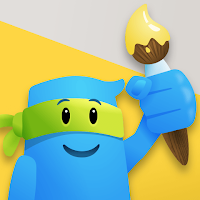 Flippity's scavenger hunt template could be useful in making fun trivia games and riddle games for students. Halloween is only seven days away. If you're an elementary school teacher, you might be planning to do some trick o' treating safety reviews with your students. Playing Kahoot games is a fun way to review almost anything including Halloween safety. That's why I made the following video to demonstrate how you find and modify Halloween safety games in Kahoot. We've had "unconferences" in the form of EdCamps for years. Now we have Unhangout for "unwebinars." Unhangout is a free video conferencing service developed by a small team at the MIT Media Lab. Unhangout provides free video conferencing spaces that include chat and the ability to create break-out groups from the main video conference. The purpose of the break-out feature is to let the group start with a big conversation and then let small groups split off for conversations that develop during the conference. In that sense it's a bit like the EdCamp "unconference" model. Watch the following video to learn more Unhangout. My initial thought about Unhangout is that it could be a good tool for online, informal professional development in the EdCamp model. For folks like me who don't care for how impersonal some Twitter chats have become, Unhangout could offer a more personal connection to the folks with whom you're discussing the issues of the day. I learned about Unhangout from a post that David Kapuler wrote last week. Thanks David! JotForm is a great tool for creating fillable PDFs and online forms for things like course registration, permission slips, and course evaluations. Last week I wrote a detailed overview of JotForm. Today, I made a video that walks you through the features of JotForm from the perspective of a form creator and a form respondent. Take a look and see if JotForm could be the solution you need for your next course evaluation or permission slip form. GoTalk is a new video conferencing system designed for small groups. The GoTalk system is easy to use. Part of the reason why GoTalk is easy to use is that it doesn't require you to register to get started. To get started simply go to the GoTalk site, select a URL for your conference room, and click "create" to launch your video conference. People join your video conference by going to the URL that is assigned to your conference room. GoTalk works best in the Chrome web browser. If you use it in Chrome, you can share your screen during your video conference. 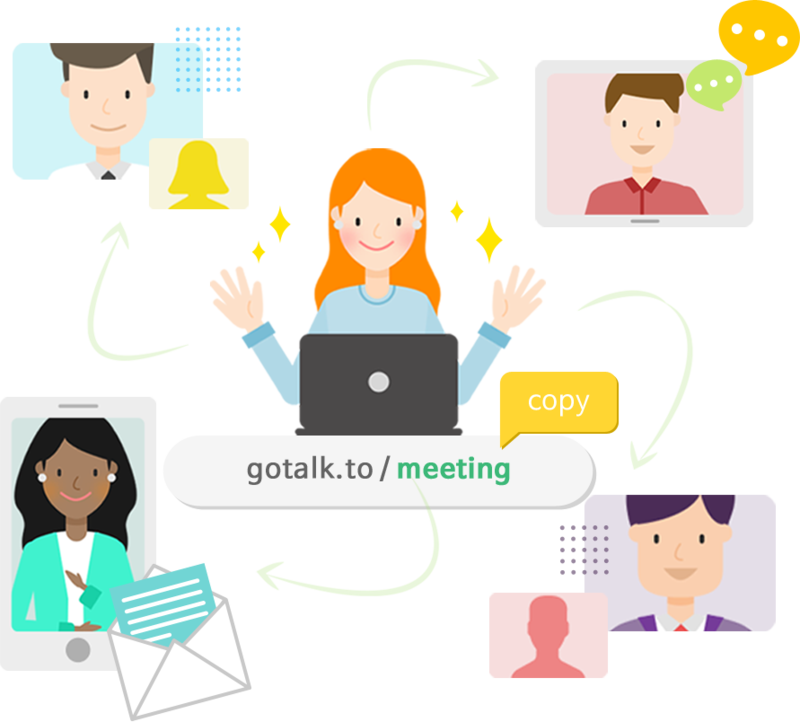 GoTalk has options for sending written messages and links during your video conference. The free version of GoTalk limits you to four participants at a time. The free version also does not include a screen recording option. 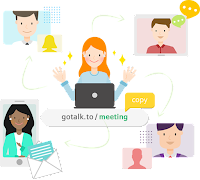 In a world in which Skype, Zoom.us, Appear.in, and many other video conferencing services already exist, I'm not sure that GoTalk is going to better than those established services. That said, if you've tried those other services for hosting short online tutoring sessions and you want to try something else, GoTalk is worth trying. WriteReader is one of my favorite tools for elementary school students to use to create multimedia stories. The outstanding feature of the service is the option for teachers to write corrections directly beneath a students' original writing in their ebooks before publication. Students can record their voices on the same pages that they write on in their ebooks. And students can use their own original artwork or select artwork provided by WriteReader to include in the pages of their ebooks. This fall WriteReader added two new artwork options for students to use in the creation of their multimedia ebooks. WriteReader's first update this fall added comic speech and thought bubbles to the design tools that students can use to create their ebooks. Students can now place comic-style speech and thought bubbles over any image on a page in their WriteReader ebooks. Students can write within those bubbles and still write below the images on their pages. Students could use that combination of options to write a dialogue between characters in the speech bubbles then use the space below the images to write narration or setting descriptions. The second update that WriteReader made this fall introduced a new 3"x 4" image bank. This image bank features sets of cartoon scenes designed to be used as story prompts. Students can mix and match scenes to develop the sequence of a story and then write their stories based on the scene sequences that they create. 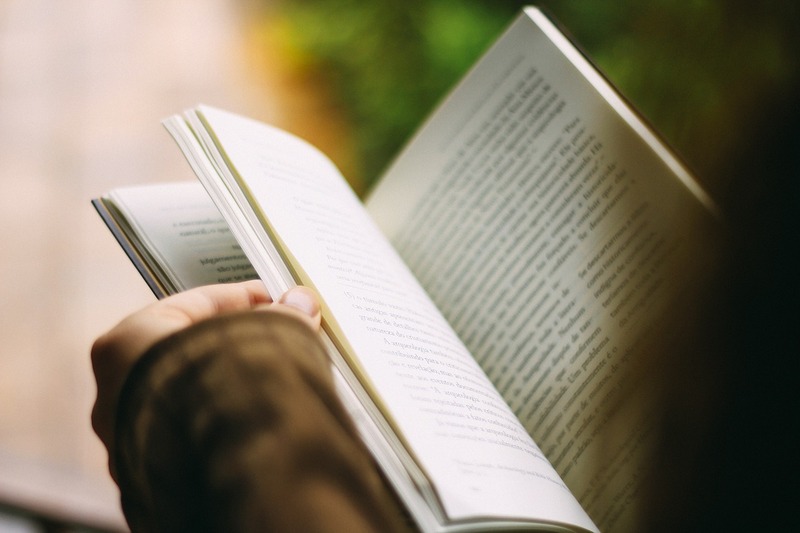 In addition to the features mentioned in the opening paragraph of this post, WriteReader offers students tools to hear their words read aloud as they write their books. This gives students immediate feedback as to whether or not they have spelled words correctly or are close to spelling words correctly. 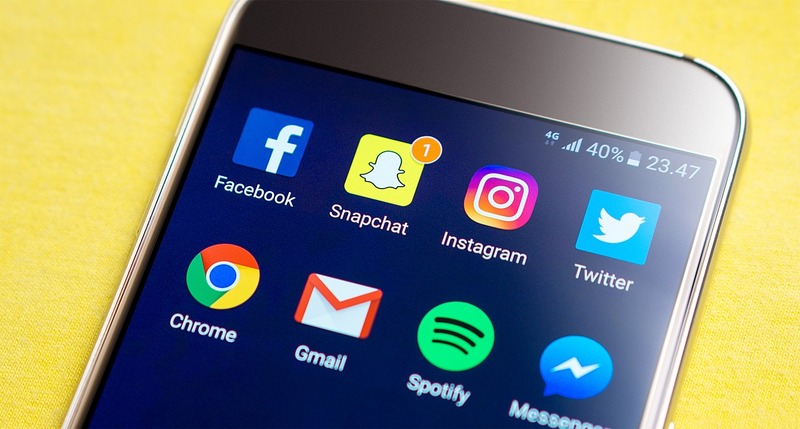 Last week I wrote about three ways that students can create social media profiles for historical and literary characters. 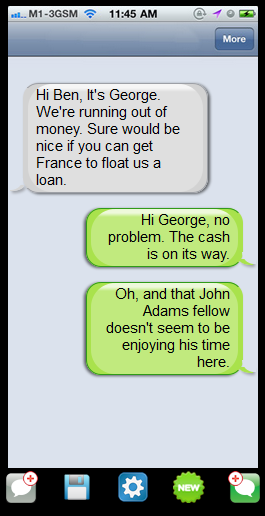 Writing that post reminded me of the Classtools Fake SMS Generator. You could have students use the Classtools SMS Generator to create simple conversations between historical characters as way to get them to think about those peoples' lives and the conversations that they might have had. In the following video I demonstrate how to use the SMS generator. Yesterday and today I had the privilege to speak at the CECA/CASL conference in Connecticut. It was an honor to be invited back to speak at a conference in my home state. Thank you to everyone who came to hear me speak. It was a pleasure to meet many of you throughout the conference and I hope that we meet again. For those who are curious about what I spoke about at the conference, the slides from all of my presentations are embedded below. A few weeks ago TED-Ed published a lesson titled Why Should You Read Edgar Allan Poe? It now appears that lesson was the first in a series of lessons designed to explain and encourage students to read some classics. Since the Poe lesson was published TED-Ed has published similar lessons about Don Quixote, Waiting for Godot, and The Canterbury Tales. All of those video lessons plus the Poe lesson are embedded below. Earlier this week I received an email from a reader who was looking for a way that her students could create fake Facebook and other social media profiles based on historical and literary characters. The tool that I used to recommend for creating that kind of fake Facebook profile hasn't been reliable in recent years. The other problem with the old Fakebook is that kids now see Facebook as something their parents use. Using the old Fakebook is not as engaging an activity as it once was. My recommendation today is to either create your own template for fake social media profiles or have students make them. There are three tools that make that process relatively easy. Storyboard That has many wireframe elements that you can use to design a simulation of a phone or computer screen. Once you've made a screen you can then start adding icons and characters to design a fake social media profile based on a historical or literary character. Storyboard That has a gallery of more than 40,000 unique drawings that you can use in designing frames. Canva, like Storyboard That, has lots of wireframe elements that can be used to create a simulation of a screen. Then within that simulation you can add pictures and text. You can set custom dimensions for your frames in Canva which is something you cannot do in Storyboard That. If your students are already using G Suite for Education, then Google Drawings can be a good option for designing a fake profile. The downside to using Google Drawings is that the selection of pre-made design elements is limited compared to Storyboard That and Canva. Earlier this week I shared the 101st explanatory video published by Common Craft. More than a decade ago Common Craft pioneered using simple paper cutouts to tell stories and explain difficult concepts in videos. 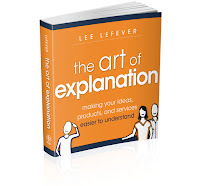 Six years ago Lee LeFever, the founder of Common Craft, published The Art of Explanation. It's a great book containing concepts that can be applied to video production or nearly any story-telling format. 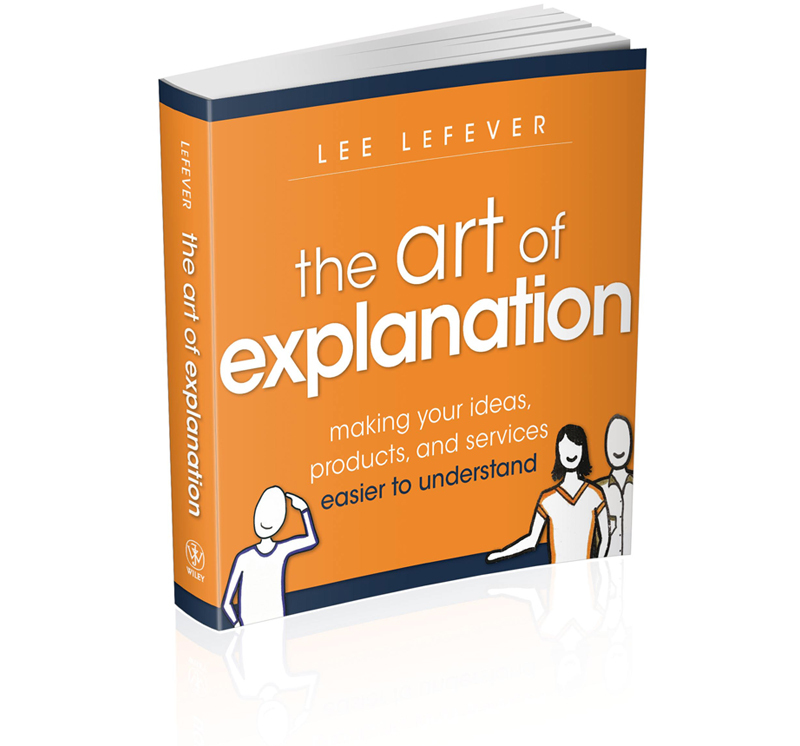 Shortly after the The Art of Explanation was published I recorded a short interview with Lee LeFever. You can watch that interview here or as embedded below. One of my big take-aways from the book was the idea of avoiding "the curse of knowledge." The curse of knowledge is basically knowing so much about a topic that you forget that what you take for granted is not as easily understood by non-experts. 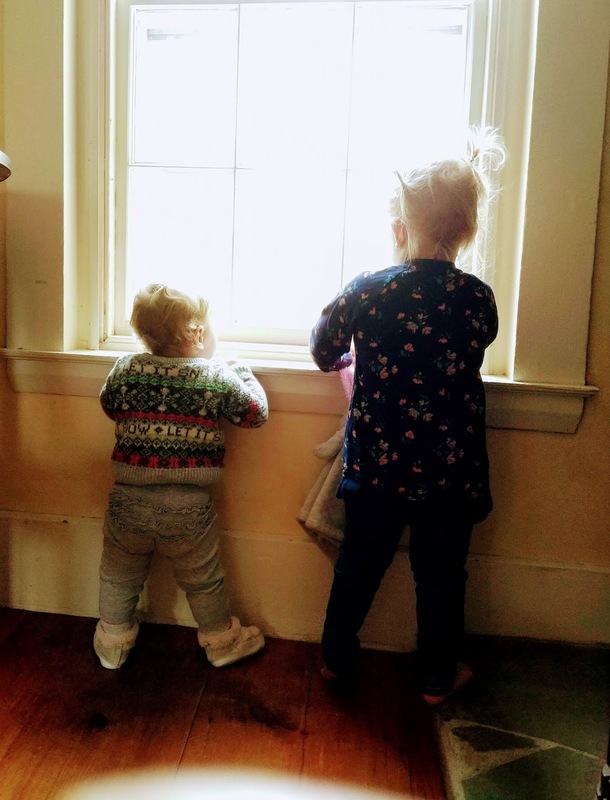 Explaining things is something that we do every day in our classrooms and I know that I'm guilty of sometimes suffering from the curse of knowledge. Why Have Students Make Simple Animations? Last week I wrote about having middle school students create presentations from a combination of illustrations and videos that they made. In that post I shared Brush Ninja animation tool. That's just one of many tools that students could have used to animated GIFs to include in their slides. The point of the activity wasn't to have students learn how to use Brush Ninja, it was to have students create animations to demonstrate their understanding of a process. In the example that I shared last week students made animations to illustrate forms of energy. That topic was a fairly natural fit to illustrate with animations. But animations can be used to illustrate nearly every topic that is taught in K-12 schools. I was turned onto this idea many years ago when I read Dan Roam's Back of the Napkin and Unfolding the Napkin books. These books make the point that if you truly understand a concept, you can illustrate it with simple drawings on the back of a napkin or other blank canvas. 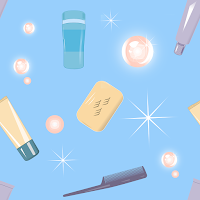 You don't need to be artistically inclined at all in order to make effective illustrations. In fact, in Unfolding the Napkin I learned that simple stick figures were often all that is needed to illustrate a concept. And if you do use the concepts of Unfolding the Napkin in your classroom, you will have to remind some students to focus on the concepts first before getting hung up on the aesthetics of their sketches. Watch the following video in which Dan Roam explains the concepts of Unfolding the Napkin. Back in September the folks at Plickers, a popular student-response service, released a bunch of updates to their mobile apps and website. Some of those updates, like easier display of questions have been popular. Some of those updates were panned by teachers. Fortunately, the Plickers team has been responsive to the voices of their users and is making adjustments accordingly. To that end Plickers once again has individual student reports. To generate individual student reports in Plickers you do have to assign each card to each of the students on your classroom roster. After you have done that you can poll your class at any time by having them hold up their assigned cards then scan the room with the Plickers app open your phone or tablet. All of your students' responses will then be available in your reports. Plickers is a free polling service that I started using back in 2014. It is unlike any other polling system because only the teacher needs a phone or tablet to make the system work. 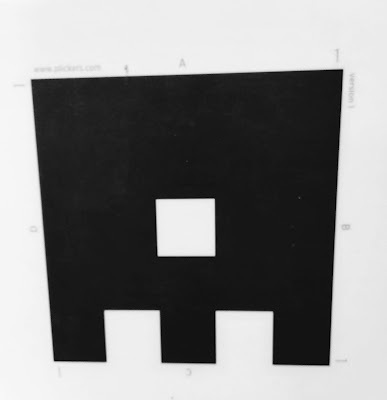 To use Plickers you have to give each of your students a card or piece of paper that has a large, unique QR code on it. Each edge of the QR code has an "A," "B," "C," or "D" printed on it. When you ask your students a question they all hold up their cards with their answer choices (A,B,C, or D) on top. Then you scan the room with your phone or tablet while you have the Plickers app open. Plickers will quickly tally all responses and put them into a report for you. You can print the QR codes directly from the Plickers website. If you use that option, I recommend printing on card stock. You can also purchase laminated Plickers code cards on Amazon. Plickers is a fantastic polling system to use in classrooms that don't have computers or tablets for every student. The advantage of Plickers over just having students raise their hands is that Plickers can be used for anonymous polling. To conduct an anonymous poll have all students hold up their cards at the same time. Because each card has its own unique pattern students don't know how their classmates are answering a question. Plickers can also be a good option in classrooms in which taking out a tablet or laptop for a quick activity can be a bit of a hassle (I'm thinking of a couple of 2nd and 3rd grade classrooms that I recently visited).